You can redeem your rewards points to cash backs. You can improve your rewards points to x2 if you redeem them for mortgage, savings and checking. 0% APR Purchases for 12 months. Zero liability service is available for the card. There are good travelling and car rental insurance options. There is no annual fee for FNBO Complete Rewards Visa Card. $50 bonus in the first purchase regardless how much you spend. 27.24 cash advance APR is high. 3% foreign transaction fee is high. Balance Transfer & Cash Advance fees are very high. 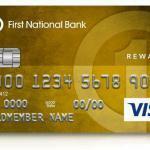 FNBO Complete Rewards Visa Card is a simple rewards credit card some good features. 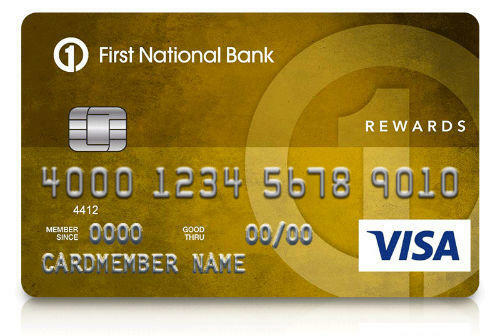 1% rewards rate is below average, however First National Bank of Omaha is providing some extra features for rewards points. You can double your rewards your points if you redeem them for checking savings and mortgage. It can be useful for you if you are using these financial products. l receive $50 bonus. It is not much but it is still something though. There is 12 month 0% introductory APR for only purchases. You can also see the cash back credit card of FNBO. Downsides of the card is interest rates and fees. Cash advance and balance transfer fees and rates is high. Maximum interest rate for purchases and balance transfer is high too. If your credit worthiness is not good enough, you can pay high interest rates. You will also need to pay 3% for each of your foreign transactions. Rewards are redeemable for cashbacks. You can improve your rewards 100% (2 rewards points per $1 purchases) if you redeem your rewards for checking, savings, mortgage and NEST 529. Free credit score view on FICO. Travel Accident and Auto Rental Insurances. You can see all rates of FNBO Complete Rewards Visa Card below. There are also user reviews and editor scores.